Testing time... this is what happens in a tank full of fast growing plants after a week. 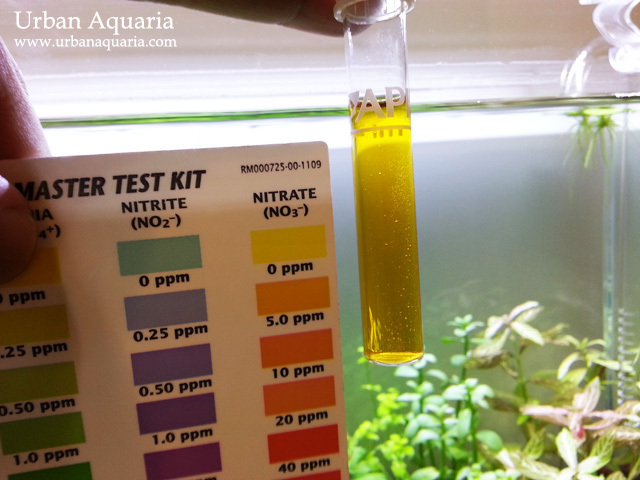 Nitrates still showing yellow color on an API test kit, the effects of faster growing plants and higher plant density is very noticeable. Looks like i'll have to dose a higher ratio of macro fertilizers to prevent nitrate/nitrogen shortage.